Disaster! 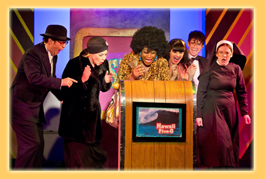 opened at St Lukes Theatre on November 3, 2013; Closing Date: April 11, 2014. Disaster! 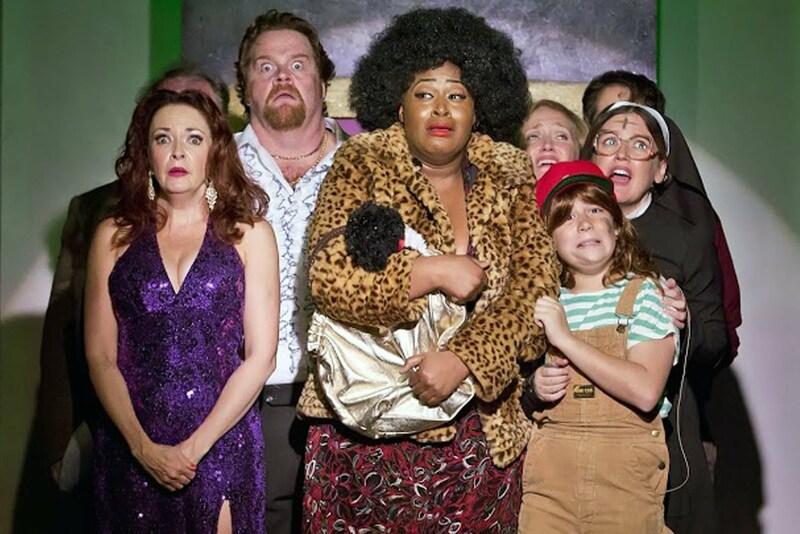 debuted at the Triad Theatre in January 2012 and moved St. Luke’s Theatre, where it had a long run and found a place on several “Best of 2013” lists. Disaster! is set on a summer night in Manhattan in 1979 and follows a group of NYC A-listers who party at the grand opening of a floating casino/disc0—until disaster strikes. 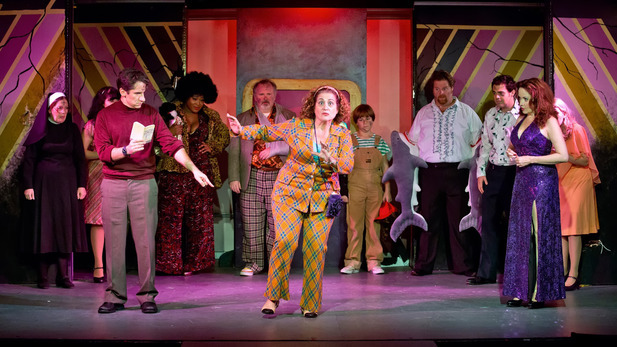 Earthquakes, tidal waves, infernos, killer bees, rats, sharks, and piranhas all threaten the guests, who sing some of the biggest hits of the ‘70s including “Hot Stuff,” “I Am Woman,” “Knock on Wood” and more. 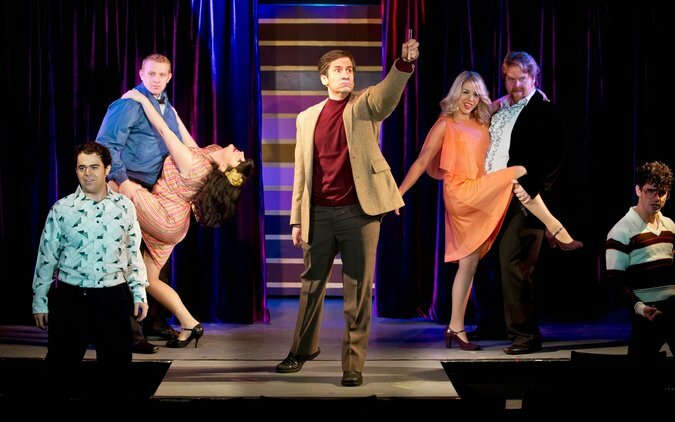 The musical comedy Disaster!, by Seth Rudetsky and Jack Plotnick, returned to NY for another Off-Broadway run, opening at St Luke’s Theatre 04 Nov 2013, following previews from 14 Oct 2013. Disaster! 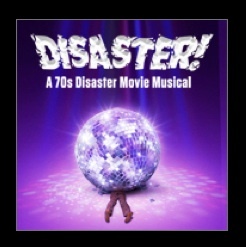 is a musical based on 1970’s disaster movies with a score consisting of 1970’s pop, rock and disco hit songs: ‘Hot Stuff,’ ‘I Am Woman,’ ‘Knock On Wood,’ ‘Daybreak,’ ‘Signed, Sealed Delivered’ and more!. 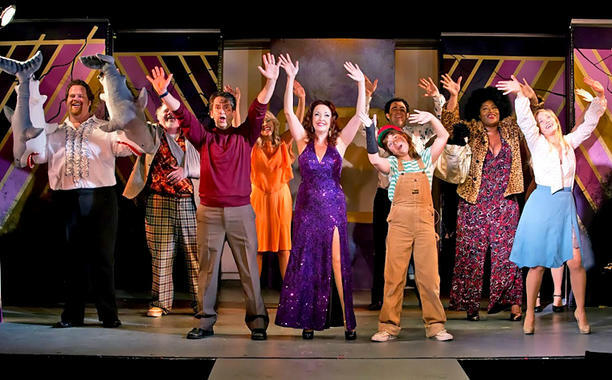 Directed by Jack Plotnick, choreographed by Denis Jones with music direction by Larry Pressgrove, the musical will star Tony Nominee Mary Testa (‘On The Town,’ ’42nd Street’), Tom Riis Farrell (‘Coram Boy,’ ‘Dirty Blonde,’ ‘Chicago’), Michele Ragusa (‘Young Frankenstein,’ ‘Urinetown,’ ‘A Class Act’), Jennifer Simard (‘Sister Act,’ ‘Shrek the Musical’), and Seth Rudetsky (‘The Ritz’). The year is 1979. All the hottest New York City A-Listers are putting on their platform shoes and polyester disco shirts and heading to the grand opening of Manhattan’s first floating casino and discotheque. Little do they know that the pier built to house the huge boat was drilled into the center of a dangerous and unstable fault-line. Disaster! 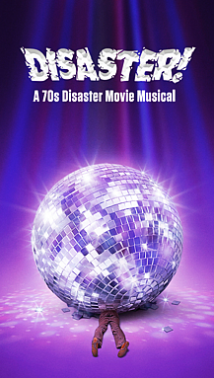 is a 1970’s disaster movie musical and features songs from the ‘70’s; Hot Stuff, I Am Woman, Knock On Wood, Daybreak, Signed, Sealed Delivered, and more! Earthquake, tidal wave, infernos, killer bees, rats, sharks and piranhas all threaten the guests. Who will survive? The greedy tycoon? The aging showgirl and her 11-year-old twins? The washed-up disco star? The disaster expert still mourning the loss of his wife? The nun with the gambling addiction? The older couple with a terrible secret? And will the bra-burning feminist find love with the man who’s lost his dreams? 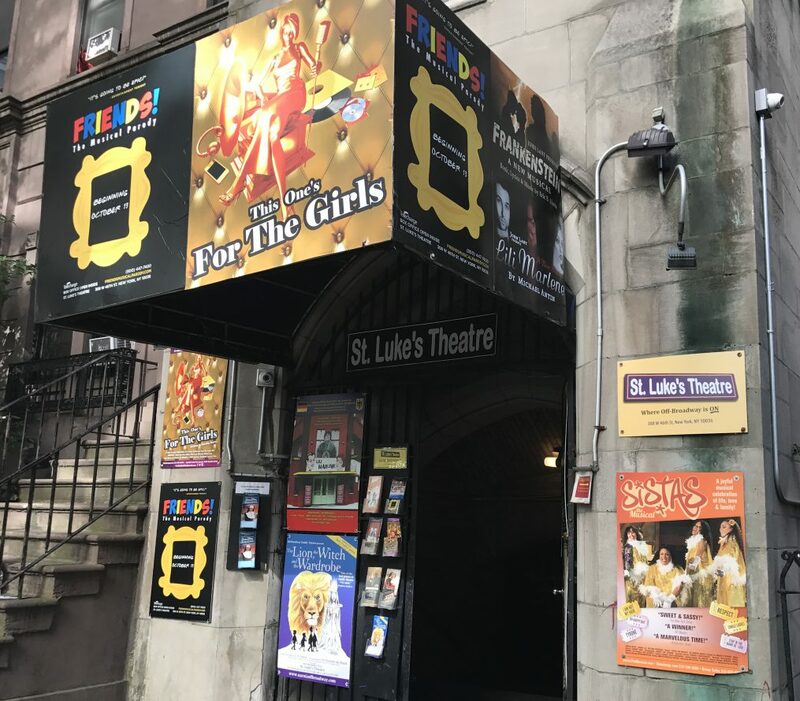 This entry was posted in Past Productions and tagged disaster the musical, Jack Plotnick, Jennifer Simard, off broadway, seth rudetsky, St lukes theatre. Bookmark the permalink.